When the temperature rises, most of us reach for our air conditioner remotes, but households in Victoria are being given the opportunity to save money on their power bills by sweating through the hot weather. In an effort to avoid large-scale energy blackouts – such as those seen in South Australia in 2016 – Victorians will be paid by their electricity retailers for reducing their power usage during periods of extremely high demand, such as hot summer evenings. Australia’s energy market operator has revealed that both Victoria and South Australia need to take urgent measures to avoid an increased risk of energy shortfalls when the national grid is under stress. This strategic ‘demand management’ policy is one of the measures being taken to keep the lights on in Victoria. Under the plan, Victorian households can volunteer to use less energy in exchange for a discount on their next bill. Customers are to be put on standby to cut their power use during periods of extremely high demand, such as by turning off air conditioners, pool pumps or even household appliances. It’s been suggested a family could save as much as $500 a year on their power bills by participating in the scheme. It’s up to the energy retailers to decide how to recruit customers and set a discounted rate as an incentive. Only households with smart meters are able to participate and customers could be rewarded for cutting their energy usage even for just 30 minutes. It is not unheard of for energy retailers to reward customers for using less power. Solar power specialist Diamond Energy has a solar feed-in tariff that sees customers paid up to 100 cents per kWh for their exported energy during periods of high demand. 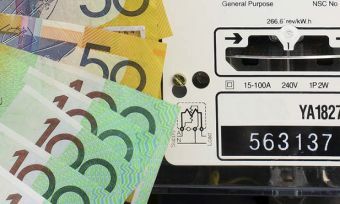 Australia Institute Executive Director Ben Oquist told the Herald Sun in Melbourne that ‘demand response’ could allow consumers to not only save money on their power bills, but make money while also helping to stabilise the power grid. Why would my energy company pay me to turn power off? Energy retailers purchase power from energy generators, that is then sold on to you. At periods of extremely high demand, the price retailers need to pay can skyrocket. This is known as ‘spot pricing’ and can change every few minutes, depending on demand. This can put retailers in a position where they are selling power to their customers at a much lower price than they are paying for it. Therefore retailers are looking for ways to offset this potential loss – and encouraging customers not to use power is one of them. What about the demand tariff? You may have heard about the introduction of a so called ‘demand tariff’ in Victoria. This tariff brings an additional charge for households when they use lots of power. The idea is to incentivise customers not to use power at times of high demand to help reduce the pressure on the energy network and lower the risk of blackouts. The extra cost takes the form of a ‘daily demand charge’ based on the maximum amount of power used during peak demand periods (3-9pm). Customers will pay the daily charged for each day they hit the peak. The peak is reset monthly. South Australians are also starting to see demand tariffs rolled out and it’s expected other states will follow in the coming years.